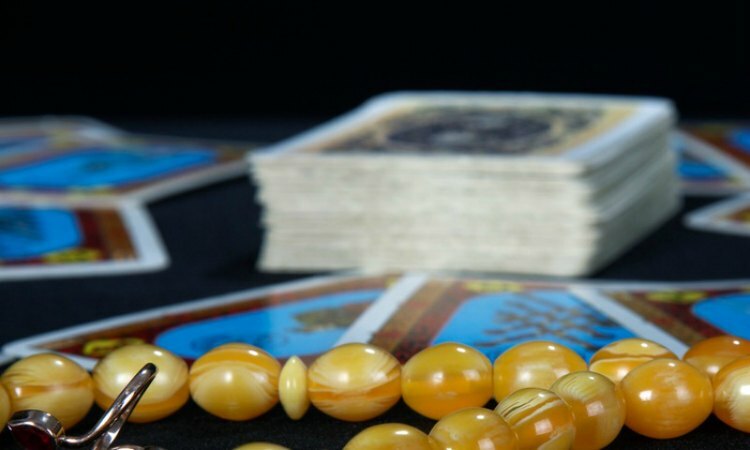 Psychic readings, or divination, is an ancient art of foretelling the future, discovering hidden truths and feelings using a variety of techniques, including prophecy and conscious or unconscious use of spirit guides. The psychic readings have been around for a very long time and psychic mediums have appeared in many different forms: shamans, omens, oracles, witch doctors, clairvoyants and other people who have claimed to have supernatural powers. People who have never visited a psychic medium before nor read a lot about psychic readings have some sort of an illusion about what are psychics, how they look and what they really do. Old and ugly witch-style people with magical wands, crystal balls and mind-reading ability is how most imagine psychics. There are a plenty of misconceptions about psychics and psychic readings, largely thanks to the wicked imagination of people who feared visiting a psychic. No worries, you're about to find out the biggest and most common myths and facts about psychic readings and get a better idea about how they work. This one is among the oldest myths about psychic readings. Psychics are believed to be able to cast spells on other people and remove spells/curses thrown on you, but this has never been proven scientifically (and probably never will). Many a time people get a feeling like the reason for their fail is a curse from somebody and they turn to a psychic for help. If they find a scammer, they will certainly get fooled and “freed from the curse” at a hilariously high price. Real psychics can't and don't cast and remove spells. You shouldn't even think about asking a psychic which are the winning lottery numbers, because that's not in their power. Psychics cannot read, define and predict your future, mainly because you're in charge for making any choices in your life and each and every one, no matter how small and insignificant it may seem, can have an impact on your future that is in flux. The best you can get from a psychic regarding your future is possibilities that lie ahead of you, based on your current feelings and thoughts. It's hard to believe that people actually believe psychics to have a mind-reading ability. When hearing that a person has psychic abilities, people immediately assume that those abilities allow them to read their minds, but in fact, that couldn't be farther than the truth. The truth is that psychics can sense your energy and feelings, not access your mind. Also, psychics are able to access your spirit guides and find out what they need to tell you to help you on your path. That's how psychic abilities work. Many people believe that psychics are born with their psychic abilities, but that's not true. Scientists have found out that psychic readings are a result of magnetic power in the human brain, so put in other words, everyone can develop psychic abilities through commitment and practice. Normally, people use only 10% of their brains, but with practice and efforts, they can achieve a higher level of their brain capacity and use it to perform amazing things, far from human's perception of normal, such as psychic readings. The stereotypical view of psychics is that they are ugly, old and scary gypsies, who use a crystal ball and do psychic readings in camping tents. But a psychic can be anyone. Your neighbor might be a psychic or a friend of yours who've you known for years. Psychics don't have a dress-code or any rules. All they do is use their psychic abilities to help you find your peace and a solution for your issues. They are completely normal people who have a normal life, just like you, with the only difference that their job is doing psychic readings. Spend time with positive people and avoid negative people whenever possible. How Astrology Came Into Existence? Life is beautiful, but it's full of ups and downs, great joys and great losses.